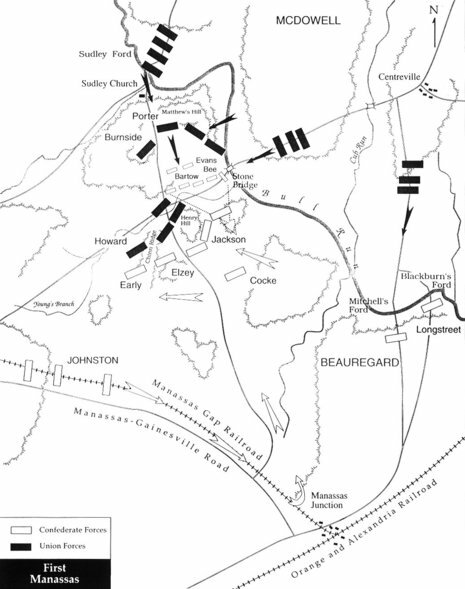 The Battle of Hoke's Run, also known as the Battle of Falling Waters or Hainesville, took place on July 2, 1861, in Berkeley County, Virginia (now West Virginia) as part of the Manassas Campaign of the American Civil War. On July 2, Maj. Gen. Robert Patterson's division crossed the Potomac River near Williamsport, Maryland and marched on the main road to Martinsburg. Near Hoke's Run, the Union brigades of Cols. John J. Abercrombie and George H. Thomas encountered regiments of Col. Thomas J. Jackson's Confederate brigade, driving them back slowly. 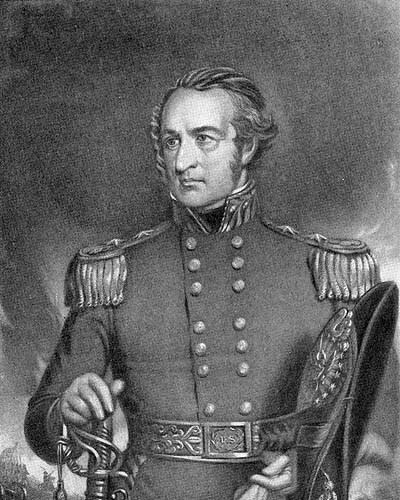 Jackson's orders were to delay the Federal advance only, which he did, withdrawing before Patterson's larger force. On July 3, Patterson occupied Martinsburg, but made no further aggressive moves until July 15, when he marched to Bunker Hill. 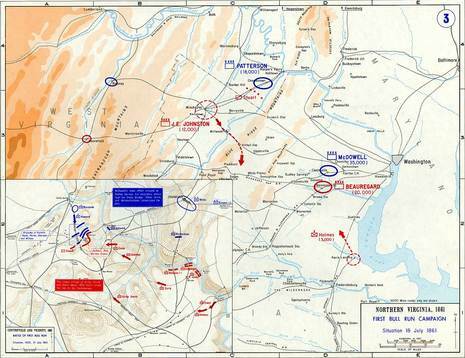 Instead of moving on Winchester, however, Patterson turned east to Charles Town and then withdrew to Harpers Ferry. Patterson's retrograde movement took pressure off Confederate forces in the Shenandoah Valley and allowed Brig. 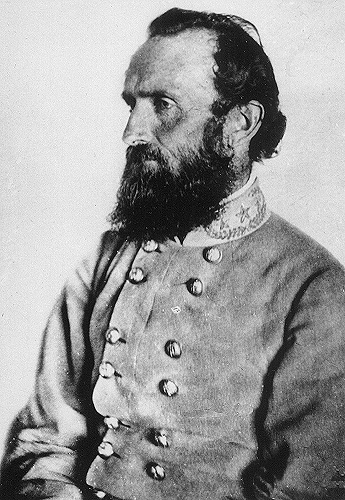 Gen. Joseph E. Johnston's Army of the Shenandoah to march to support Brig. Gen. P.G.T. Beauregard at Manassas Junction. Patterson's inactivity contributed to the Union defeat at the First Battle of Bull Run on July 21.